The filmmakers use footage shot in India by tourists in the late 1920s to illustrate the elitist attitudes of Westerners toward the Far East. The film contrasts the wretched life of the poor and malnourished with the sumptuous lifestyles of the Europeans. The film represents a more sustained feature-length examination of European visions of the ‘exotic Other’. Commissioned by the television arts channel Arte, it was first screened at the Venice Film Festival as part of a programme entitled ‘New Territories’. The footage is largely drawn from Luca Comerio’s archive, though it is unclear how much was shot by Comerio himself nor for whom the film was made. The original film documents the visit to India of Edda Mussolini, daughter of the dictator, in 1928-9. It is likely that a reel covering the Tripoli part of the journey is missing. While not a state visit, the fact that the daughter of the Italian Head of State was part of the Italian party travelling to India explains the number and lavishness of the receptions. However Gianikian and Ricci Lucchi carefully avoid mentioning Edda Mussolini in the notes and interviews that accompanied the release of the film so as not to distract attention from their principal concern – how the East is seen through Western eyes and how elite tourism prepared the way for mass tourism later in the century. We were delighted to welcome the filmmakers via a Skype Q & A to introduce and discuss the film with Rebecca Shatwell, Festival Director and Dr Neelam Srivastava, Senior Lecturer in Postcolonial Literature, Newcastle University. The screening was part of the Festival’s Postcolonial Cinema Weekend, which explored the complex histories and material traces of past colonial inequalities through contemporary filmmaking. Yervant Gianikian and Angela Ricci Lucchi have created an incomparable documentary oeuvre consisting of over 40 films since the 1970s, whose rare beauty and integrity set them apart. Working at the intersections of history, the archive, the ready made and re-animation, their films are comprised of found footage mesmerizingly manipulated in order to give it new life and meaning: spectral apparitions that exhume forgotten and often shameful historical trespasses as they evocatively illuminate our own era. 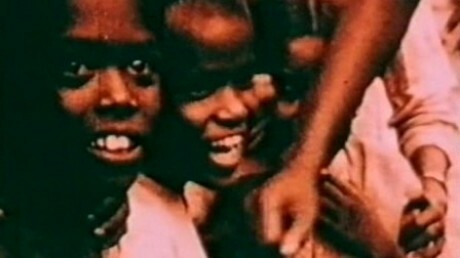 Yervant Gianikian & Angela Ricci Lucchi’s landmark experimental work From the Pole to the Equator, 1986, re-defined the documentary form and introduced recurrent themes in their work: war and peace, genocide and colonialism, death and cinema, the body and embodiment. Their techniques involve the manipulation of rare footage through re-photography, hand-tinted colour and altering film speed, to produce work that explores the fragility of the cinematic image and traces of historical ideologies. The two have presented work at major international film festivals including Cannes, Rotterdam and Venice, and at leading museums such as the Museum of Modern Art, New York; Centre Pompidou, Paris; and Tate Modern, London. Curated by AV Festival. Regional Premiere.